Ocean life spans size from the largest mammal (the blue whale is 30 meters in length) to the smallest microorganisms roughly 20 nanometers across. Animals in the ocean that can swim quickly relative to the speed of ocean currents (squid, fish, turtles, whales) are classified as nekton, or swimmers. Organisms that don’t swim, or swim very slowly relative to ocean currents are classified as plankton, or drifters. Plankton includes some larger sized animals such as the Lion’s Mane Jelly (2 meters across! ), but most plankton consists of protists, bacteria and viruses that could not be collected with a net. Microscopic plankton are by far the most abundant life forms in the sea. Plankton marine life can be organized into the following categories based on size. Bacteria is a form of plankton. Plankton that you would view with a dissecting stereo microscope fall into the Mesoplankton class. 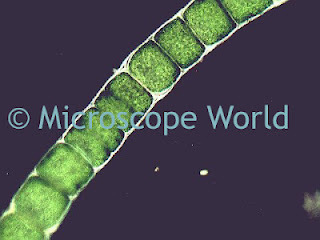 Most of the plankton viewed with a high power light microscope are Zooplankton, as well as a few large Phytoplankton and Protists. 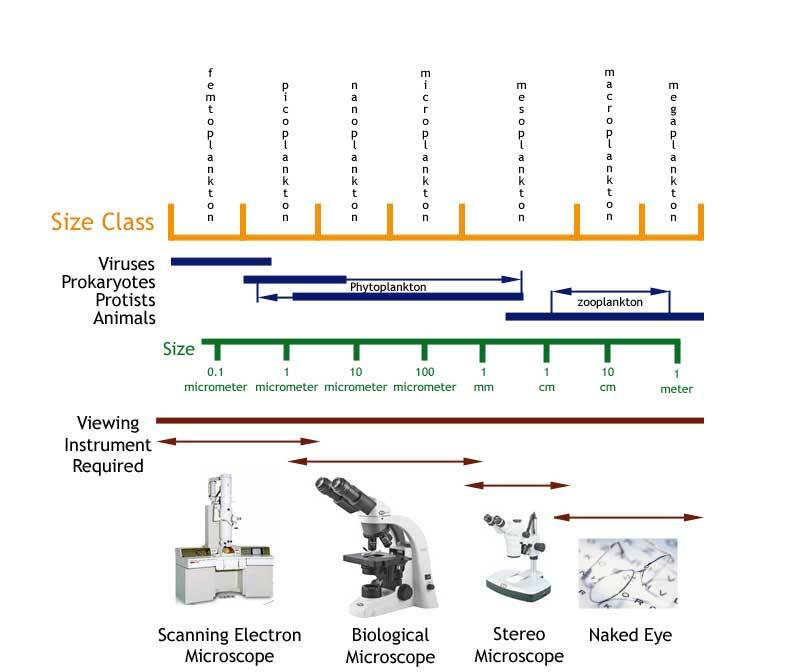 The smaller plankton (micro, nano, pico, femto) require special microscopes such as scanning electron or epi-fluorescence microscopes in order to view them. The chart below shows the types of plankton, sizes and instrument required to view it.